This event focused on the implementation and use of Autodesk's PLM360. Chad Jackson spoke as part of a panel of industry analysts. 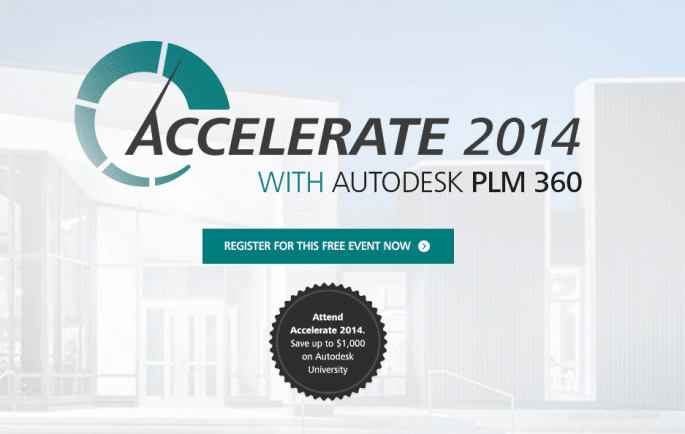 Accelerate 2014 will bring together Autodesk PLM 360 customers, industry executives, top market analysts, and subject matter experts to learn, network, and share strategies for solving modern manufacturing challenges. Don’t miss this must-attend event, where you’ll have the opportunity to build valuable connections with your industry peers and thought leaders in the field of product development. Accelerate 2014 will engage, energize, excite the PLM community with the vision of the future of manufacturing and the cloud. Plus we’ll give you an exclusive sneak peak at what the future holds for Autodesk PLM 360. Chad Jackson sat on a panel, titled ‘What’s Brewing in Manufacturing’ with several other industry analysts to discuss the recent trends in the industry overall as well as specifically with PLM.